Like many of you, I may live in the present, but I do a lot of thinking about the future, especially the future of cars. Recently I've been reading quite a bit about Artificial Intelligence, sensors and the continued melding of technology into everyday things. Robin Washington, former editor of the Duluth News Tribune, has also been immersing himself fairly deeply in this topic so I reached out to him after seeing one of his articles on this theme in the Boston Globe. After comparing notes I felt his insights would be valuable for readers of the AMSOIL Blog. Robin Washington: I was always writing -- and I was always writing about transportation; not an exaggeration. My first poem, at age 6, was titled "I Ride the El." It coincided with my first ride by myself, around Chicago's Loop and back, a trip I must have previously made hundreds of times with my family. We love racing here at AMSOIL. Not only do we formulate synthetic lubricants that help racers dominate at the track, some of us even race ourselves. One of the things I personally enjoy about the various events we’re involved with here at AMSOIL is meeting so many interesting and exceptional people. One of these, whom AMSOIL Technical Product Manager – Powersports Len Groom and I met at the AMSOIL Engine Masters Challenge last October, is car collector Tim Wellborn of the Wellborn Musclecar Museum. Wellborn was on hand as a guest with his engine builder Daniel Boshears, who took second place honors on Mopar Monday. In some circles the word "competition" has a bad name. But the truth is, competition is what drives people to exceed the limits of what is possible. What Kind of Oil Filter Should I Use? The simple answer: Compared to their predecessors, modern engines run hotter and generate more wear-causing contaminants that end up in the motor oil. For maximum protection and engine life, use a durable oil filter that uses full synthetic media. Clean is good. It’s good to eat with clean hands, and wise to wash (clean) your vegetables before you stew them. We brush our teeth after meals, and floss routinely in order to keep teeth free of deposits and the build-up of plaque. Clean clothes smell fresh and make us more presentable. Clean air is fresher, and healthier, to breathe. When we get a cut or abrasion, we clean it to keep the wound from becoming infected. Clean is very good. John Viscardo is brand manager for Circle Track magazine of The Enthusiast Network. Some racing magazines are written for fans. Circle Track targets engine builders, racers and teams with “how to” technical content, from setups to teardowns, as well as the nuts and bolts of the business of racing. The publication has been a friend of short track racing for more than 30 years. How Often Should Synthetic Motor Oil be Changed? The simple answer: Most oil manufacturers recommend changing their synthetic oils according to the service guidelines given in vehicle owner’s manuals. A few synthetic oils on the market, however, provide recommended service intervals on their back labels that are generally longer than those given in vehicle owner’s manuals. If you’re a Mustang enthusiast, you have lots of company, especially now in the era of the Internet and social media. Here on #ModMonday it seemed like a good time to point out some of the watering holes for fans of the mighty Mustang. Initially notable for its styling and affordability, it evolved to become Ford’s punchy representative in the Muscle Car Wars, flanked by Chevy’s Camaro, Pontiac’s Trans-Am and an assortment of Hemi-powered Chrysler products, including the Challenger, Charger, Barracuda and Road Runner. Ah, the memories. Once you start to hang around car shows you become aware of our rich and varied automobile heritage. From the beginning we've had a love affair with cars, and it's easy to see why. For this reason, there seem to be innumerable car magazines devoted to every aspect of the car scene, including every breed in every era. The cars are beautiful to behold, fun to experience and, for those who have the means, a joy to collect. But even when you don't have the money to own a Deusenberg or Bentley, you can still acquire magazines that satisfy a measure of that passion to behold beauty. Nearly 40 percent of engine failures can be attributed to cooling-system issues. Clearly, it pays to take care of your vehicle’s cooling system. Sludge/slime are just one of the common symptoms of larger problems. Left unchecked, it’ll plug the radiator, heater core or fluid passages, resulting in overheating and expensive repairs. Powersports Business, a leading B2B magazine for the powersports industry, has recently announced the winners of the 17th annual Nifty Fifty awards. Editors at Powersports Business select new or reformulated products that they believe will help boost dealership profits and best meet industry demands. We are honored and pleased to announce that AMSOIL Synthetic ATV/UTV Front Drive Fluid has been selected as one of the 2016 recipients. This weekend I was reading the Twin Ports Mustang & Ford newsletter and saw a really interesting idea in one of their articles. Though the club is made up of Mustang and Ford enthusiasts, this idea is one that any number of clubs could embrace in their communities. The value of things varies from person to person. Hence the saying, "One man's junk is another man's treasure." The Motorsports Parts Manufacturers Council (MPMC) is just such an event. Representatives from manufacturing firms across the continent gather in a California hotel and tell their stories for three days to members of the media covering the motorsports industry. On the surface this sounds as boring as whittling matchsticks, but for the media and businesses, it is one of the most exciting events of the year. Why? Because the meetings are a catalyst for making things happen. Today is the third day in which editorial staff from all over the world are meeting with racing and high performance parts manufacturers in a series of face-to-face, 30 minute meetings. When all is said and done, most journalist and manufacturers will have conducted 42 such meetings. The reason MPMC works is because journalists need stories to write about. Manufacturers needs media to get their stories told to the wider audiences they want to reach. In an age where content is king it is a win-win for everyone. When all is said and done, some of you will likely read some of the AMSOIL stories we told in magazines and on websites that you read. One of those stories is not really new because it's essentially who we are. Another is our EBR Building Legends Sweepstakes. We love telling our story. Follow us on Facebook so we can tell you more. Somehow we got inside Hot Rods by Dean and captured these shots of the latest AMSOIL Street Rodder Road Tour car.... as it happens. How cool is that? Expect great things in 2014. 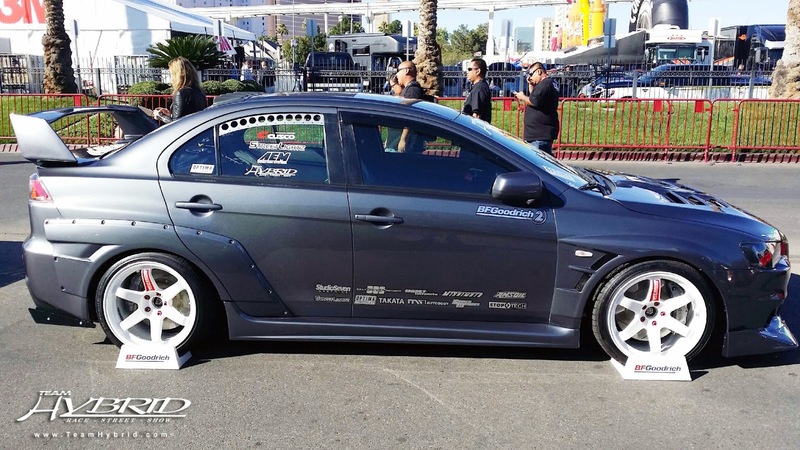 Team Hybrid is a tuner enthusiast group out of California almost 20 years in existence. Their members boast some of the hottest tuners on the scene today, and many of them land high-profile media coverage in magazines and websites around the world. 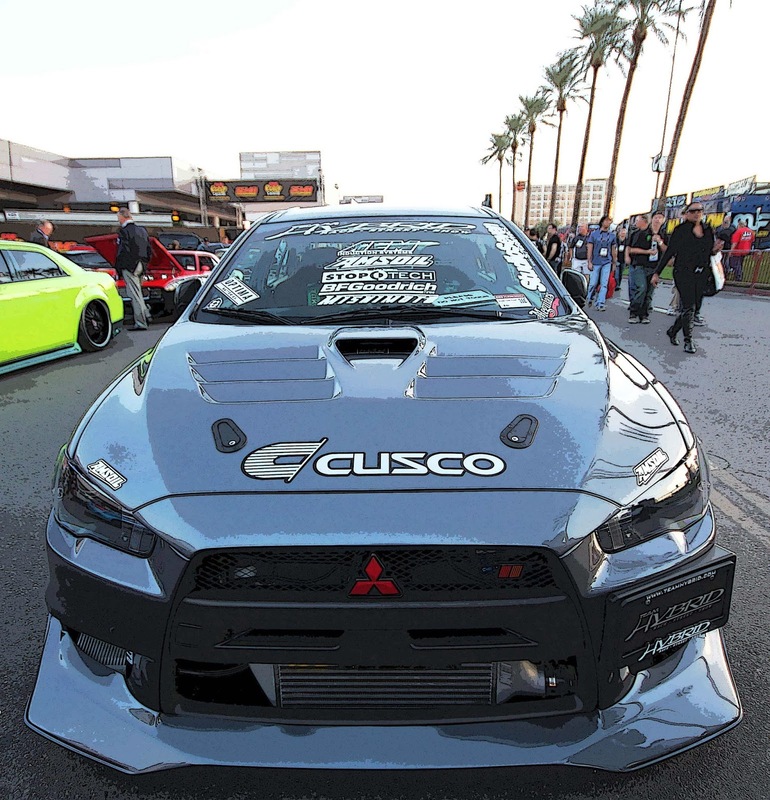 Team Hybrid member Mike Gutierrez is no exception, recently selected for a sponsorship and his very own build page on Mishimoto’s website. Mishimoto is a well-known tuner product hub that showcases some of the finest rides in the world bearing their well-known modification products. Landing a spot on their sponsorship roster and website is no easy feat, and only those who have what it takes are afforded such an honor. 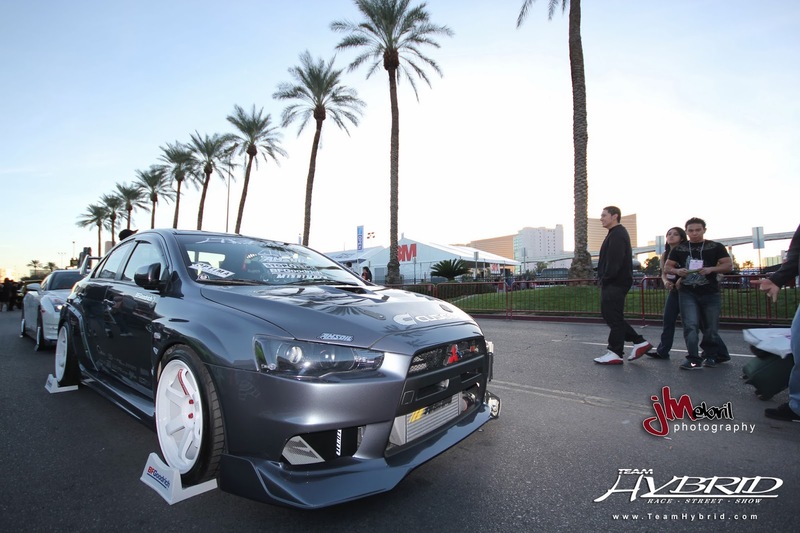 While at SEMA in November, Mike G.’s Mitsubishi Evo X also caught the eye of English blogger Adam Ivell of 6two1.com. While typically a website for Honda enthusiasts, after seeing what Mike G. had created Ivell picked up his camera for an impromptu photo shoot and posted a Mitsubishi to his website. Of course, so much time and effort into a car like this would be wasted if the engine wasn’t protected with a lubricant like AMSOIL. That’s why Mike G. approached us for oil and peace of mind before he headed to Las Vegas to put his car in front of the automotive industry masses. We obliged, and the end result was stunning. After a long search for the exact right mods and the best products on the market, behold the final product of Mike G.’s vision. 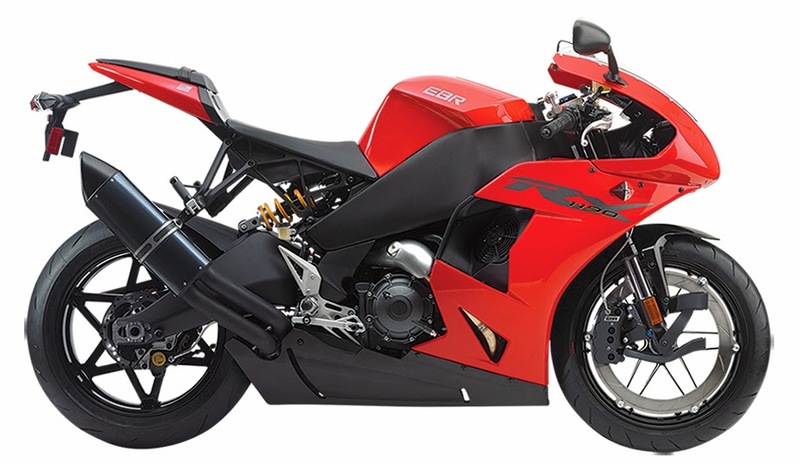 Let's say you're into motorcycling, and you're dreaming of a new bike for 2014. One place to read about what's hot and most anticipated for the coming year is UltimateMotorcycling.com. Each year the major manufacturers puts on the market something new and exciting to drool about. BMW, Honda, Ducati and the rest have produced some appetizing new rides. At the pinnacle for 2014 is Erik Buell Racing's EBR 1190 RX, which Ron Lieback called "our number-one most anticipated bike of 2014." Can you imagine owning this machine? If you missed it, last week AMSOIL announced that it will be giving away an EBR 1190 RX to one lucky winner in the Building Legends Sweepstakes. There are a lot of praiseworthy motorcycles being introduced this year. You can read about ten of them at Ultimate Motocycling. 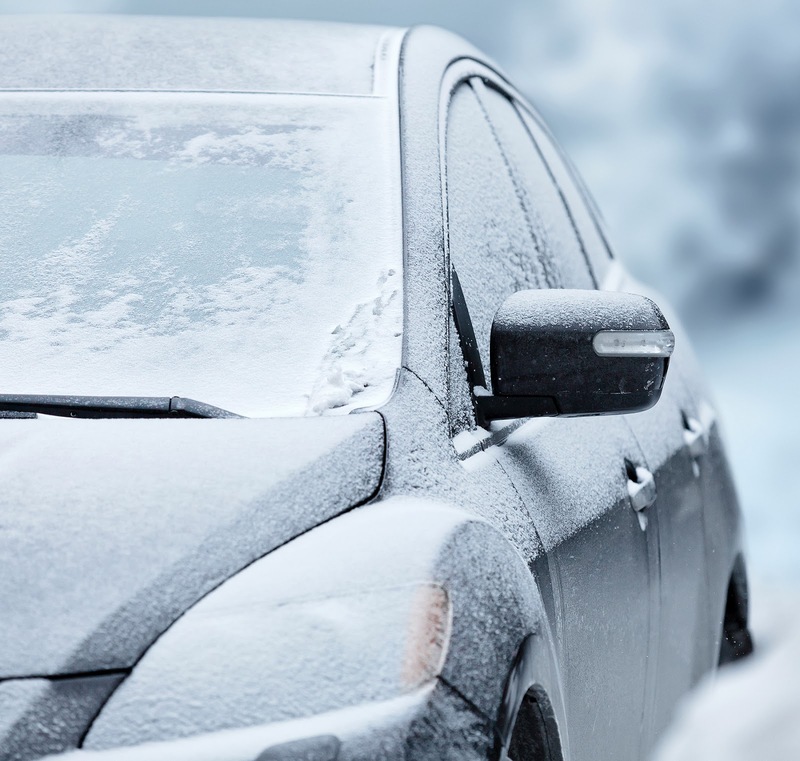 Has the Exceptional Cold Been a Problem for Your Vehicles? Across the nation this week, harsh temps and frigid conditions made one thing very clear: winter takes no prisoners. This season’s arctic blasts have been doing more than giving people the chills. Stories of frozen pipes in houses and school closings are legion. While most people stayed bundled up safely indoors, their vehicles bore the brunt of these cold snaps. We heard countless stories of people who emerged from their warm homes to cars that wouldn’t start. As an up-north company born in the land of beautiful summers and brutal winters, AMSOIL understands the need for options to prevent or correct these problems. That’s why we offer product solutions to either get you out of a bind, or stop it from ever happening in the first place. Of the many benefits of AMSOIL synthetic motor oil for passenger cars, easier cold starts is one of the first that North Country motorists will notice. Because of their exceptionally low pour points, there is less strain placed on batteries which also have a depleted cranking power due to the frigid temperatures. Diesel owners have always known that arctic weather is problematic for their vehicles. AMSOIL synthetic diesel oils, like our gasoline counterparts, also help make cold starts easier. This won't solve the other problem associated with extreme cold. Diesel fuel is susceptible to gelling in the fuel lines. This problem can be especially serious for truckers out on the open road. For this reason we recommend AMSOIL Diesel Cold Flow, a fuel additive formulated with an advanced deicer to enhance fuel flow and help prevent fuel filter plugging in cold temperatures. If it's already too late, and your fuel lines and filters are plugged, you will want to make sure you have a bottle of our Diesel Recovery Emergency Fuel Treatment on hand. You'll be ready if that situation should arise. 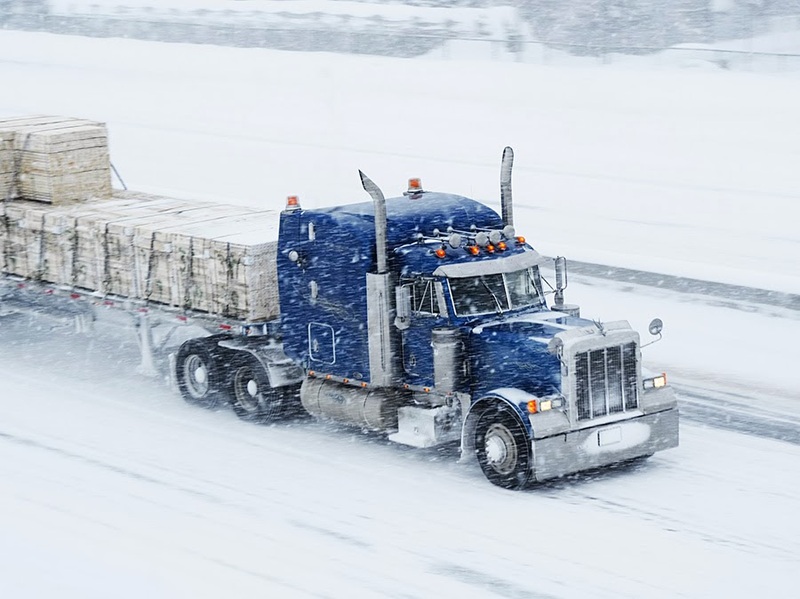 Even though snow and cold sound like fun for a lot of people, there are still oil related issues to be aware of when temperature extremes occur. 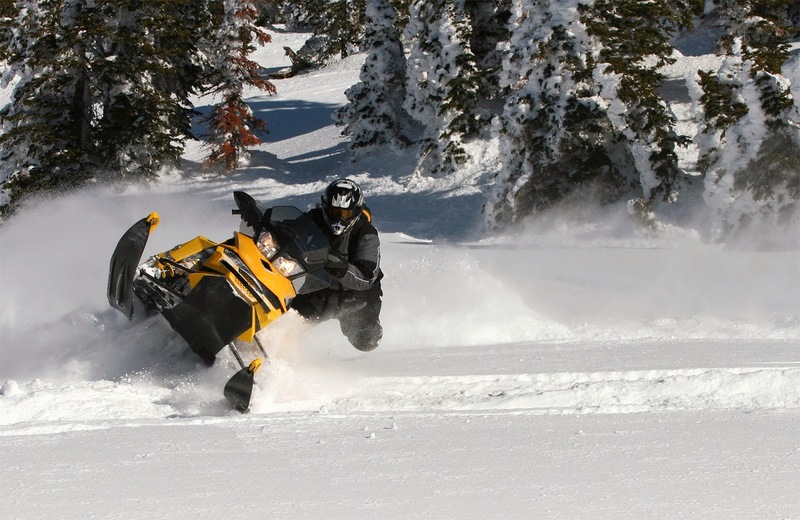 Today’s snowmobile engines direct less oil to critical components, through narrower passages, for longer distances. 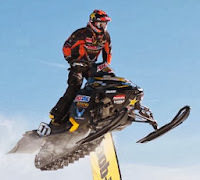 Therefore, it is critical for snowmobile oil to flow freely in cold temperatures to ensure the oil reaches all area of the engine quickly to ensure maximum protection. AMSOIL INTERCEPTOR remains fluid down to -72°F to ensure oil reaches critical components in the coldest weather, keeping your engine protected. The forecast for this coming weekend is looking a bit brighter, but we all know from experience that Jack Frost will be back. If you had some hardships during this past blast, we're here to help you be ready for the next one. Enter the Specialized Oil Sweepstakes Today! Montana Is Calling. After factoring in the wind chill, AMSOIL headquarters in Superior, Wis. is currently experiencing air temps that rival those found on planet Mars. A good part of the nation is facing similar conditions, though not as extreme as those of us up north. Winter has officially arrived. In these kinds of conditions, even snow enthusiasts start dreaming of heading out west to escape the throes of old man winter. 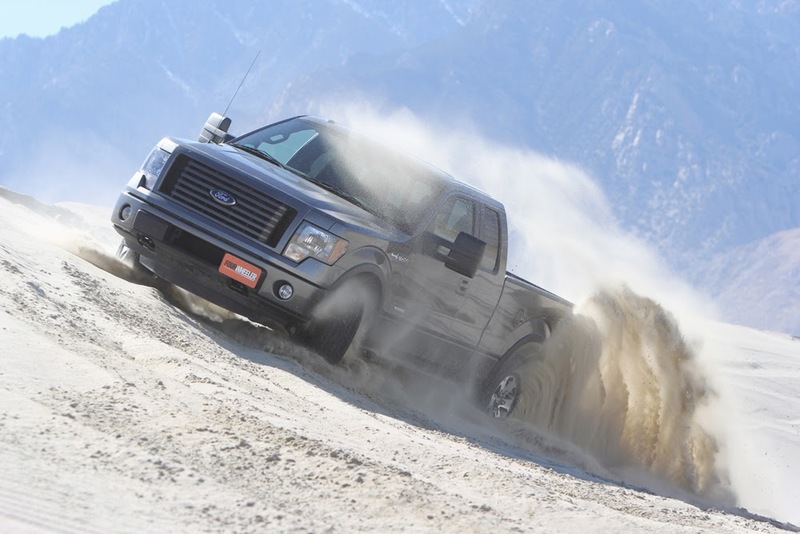 AMSOIL has launched a new sweepstakes program to help one lucky winner do just that. 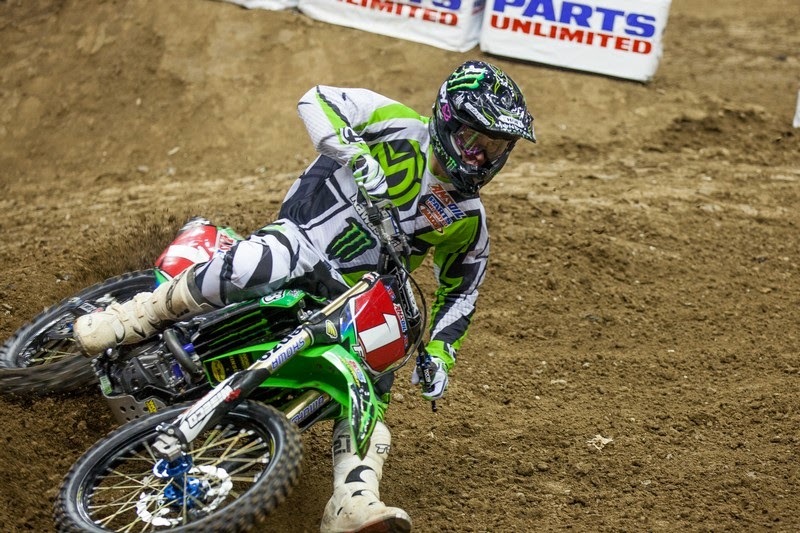 Introducing the AMSOIL Specialized Oil Sweepstakes, taking place now through March 31, 2014. One lucky winner will receive a grand prize trip for two to Montana for a 4day/3night guided snowmobile tour in the winter of 2014-15. 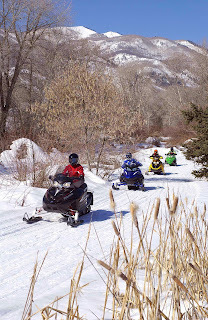 Included in the prize package are flights from the nearest airport, ground transportation from airport to lodge, 3 nights’ hotel accommodations, a 2-day guided snowmobile tour, sled rental and $500 spending cash. All the winner will need to do is pack and show up for this once-in-a-lifetime experience. Entering is easy. Just pick up an entry form at any of the AMSOIL-sponsored events listed below, or complete our online entry form. The winner will be selected in April, and it very well could be you. Read full contest details, rules and event dates here. For the past 30 years, one thing has remained constant in Erik Buell's life: his drive to create motorcycles on his own terms. 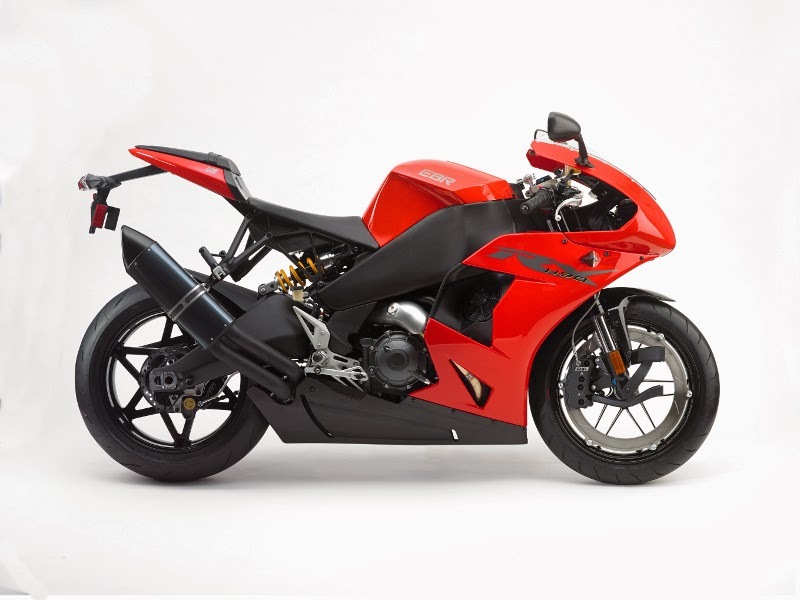 Buell and his company, Erik Buell Racing (EBR) of East Troy, Wis., established the lofty goal of bringing to market a world-class street superbike for under $20,000. The end result was the astonishing new EBR 1190RX, which was unveiled in October at the American International Motorcycle Exposition (AIM Expo) in Orlando, Fla.
Stay tuned for more features about the new EBR 1190RX, coming soon. Modern chemistry and technical advances have produced some startling products in this past century. The kinds of things being developed on the nanotechnology level are mind-boggling. Another area where the most unusual things are happening is in the realm of aerogels. Aerogels are a substance lighter than air. Aerogels are synthetic porous, ultralight materials derived from gels in which the liquid part is replaced by gas. The resulting substance is lighter than air, yet retains a shape. 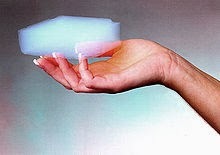 The carbon grapheme aerogel is seven times lighter than air. In fact, one the process is completed, you have a substance that is 99.8% air and has a weight of sixteen one-hundreds of a milligram per cubic meter. All the uses have not yet been fully determined but, like Velcro, it’s suspected that we’ll find increasing varieties of applications over time. NASA has already been using the new substances and this Wikipedia site shows other remarkable applications. Organic synthesis is yet one more means by which science has re-shaped elements of nature to create products with performance capabilities superior to what can be found in nature, designing at the molecular level. Synthetic lubricants are one of the countless bi-products of modern chemistry that now see extensive use due to their many benefits. The military began using synthetic oils for jet aircraft shortly after WW2 because of their high and low temperature performance capabilities. When Lt. Col. A.J. Amatuzio introduced this jet age technology to the passenger car market in 1972, many people thought it was too expensive and would never catch on. But as vehicles became more sophisticated, their lubricant requirements became equally sophisticated. AMSOIL was here to stay. Find out why synthetic oils are now the fastest growing segment of the motor oil market. 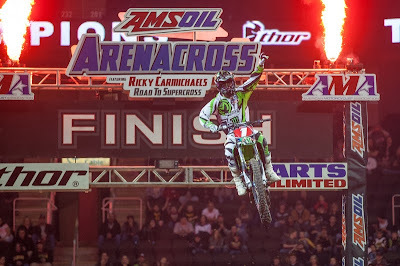 AMSOIL Arenacross has been a welcome addition to the pro motocross racing circuit, not only providing a venue for emerging stars to cut their teeth and prepare themselves for the highest levels of racing achievement, but also giving fans in smaller markets the opportunity to see top quality racing excitement in their own home towns. 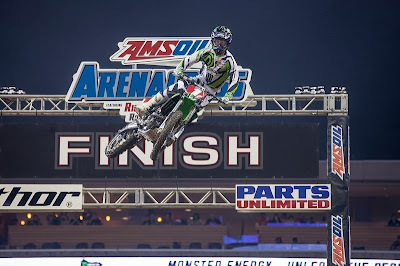 Here's a cool video of 5X Monster Energy Supercross Champion Ricky Carmichael talking about the new path to Supercross stardom. Hear what Ricky Carmichael had to say about the upcoming 2014 AMSOIL Arenacross Season and the "Road to Supercross." ...brings it home in KC. It takes a hearty breed to make a homestead in our many of our Northern states where sub-zero temps chill the bone and icy roads make driving a hazardous adventure. The reality is, most people here know how to dress for the weather, and our highway departments know how to deal with those icy roads. With snowplows at the ready the main thoroughfares are kept open even in the worst storms. Salt and sand trucks are employed to keep ice melted at intersections and on highways, and to give traction where needed. The downside of all that road salt, however, is a lot of rust formation on car frames and bodies. The problem of rust leads many owners of classic vehicles to place their gems in storage for the winter each year. What many people don't realize though is that engines can rust, too. When an engine sits idle for months on end it's important to make sure your prized possession is protected from the inside out. Rust protection is one of the features of AMSOIL Z-ROD Synthetic Motor Oil which has been formulated with rust and corrosion inhibitors that protect component surfaces by forming a protective barrier to seal out water and contaminants. To prove its effectiveness, AMSOIL submitted Z-ROD Synthetic Motor Oil to the Standard Test Method for Rust Protection in the Humidity Cabinet (ASTM D-1748). This test evaluates the rust-preventative properties of oil under high-humidity conditions, similar to those faced by a covered hot rod in a damp garage. 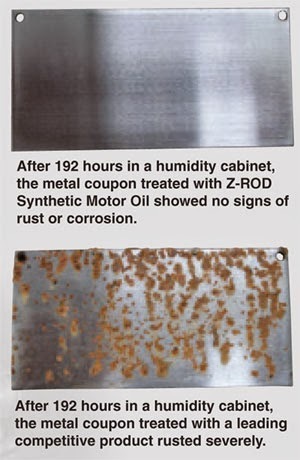 After 192 hours in the humidity cabinet the metal coupon treated with AMSOIL Z-ROD Synthetic Motor Oil showed no signs of oxidation while the coupon treated with a leading competitor’s product failed the test after 24 hours. AMSOIL Synthetic Motorcycle Oils also contain anti-rust agents to protect again rust. Most bikers in our Northern Tier states park their bikes for the winter, both because of the cold as well as the hazardous road conditions. Rust can cause serious damage such as roller bearing failure, uncontrolled wear, compression loss and blow-by. Don't wait till it's too late. Oil in an of itself doesn't protect against rust. What you need is to find an oil that is formulated to fight this predator. You don't have to look any further than AMSOIL. For centuries man dreamed of flying. DaVinci wasn't the first, but is probably the most memorable of these early schemer dreamers. In the late 1700's hot air balloons conveyed people skyward in opposition to the gravitational pull of the earth. And what a site it was, for those who flew skyward as well as those who appreciated those amazing adventurers. As for the first really big advance in aeronautics, it occurred 100 years ago this month at an out of the way strip of beach called Kittyhawk. 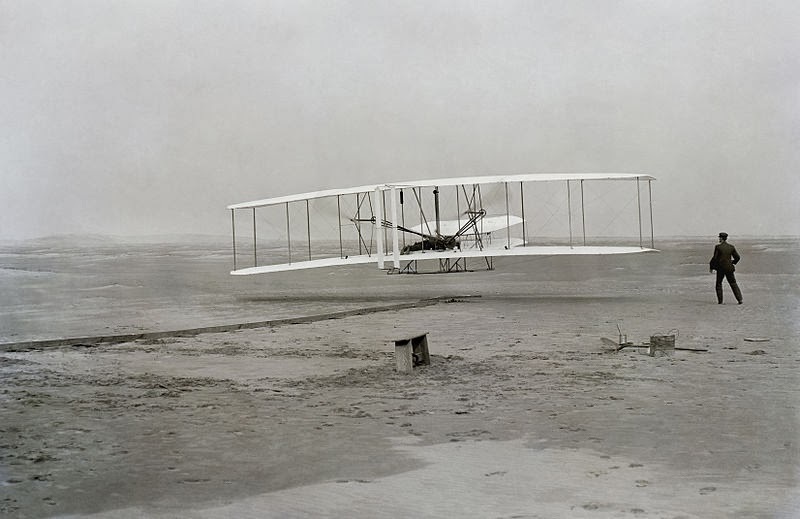 It was here that the Wright Brothers, Orville and Wilbur, were credited with the first manned flight of an airplane on December 17, 1903. There were a number of technical advances that made this achievement possible. One was their ability to test their apparatus in a wind tunnel. A second was the matter of developing a method for maintaining control of the plane once airborne. 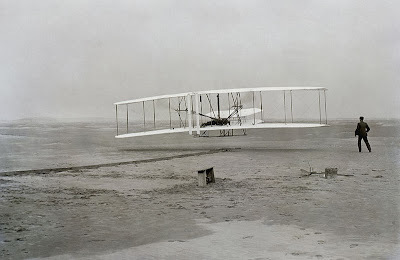 For the Wright Brothers, getting their self-propelled flying contraption off the ground was not an end, but a beginning. The sky was the limit... not simply a name in the record books. What's fascinating is the distance recorded in that early first flight: 120 feet in 12.8 seconds, or 6.8 miles per hour. A horse could run faster! It was, however, a beginning. Eventually, 80 years later, a trio of Northern Minnesotans began to develop an appetite for manned flight.... on snowmobiles. The next race is slated for Shakopee, MN at the famed Canterbury Park. To follow AMSOIL Championship Snocross or all our other AMSOIL racing activities, visit and bookmark AMSOILRacing.com. Wright Brothers information courtesy Wikipedia. There's something about snowmobiling that gets in your blood. First off, trails take you to vistas you would never reach any other way. How far can you really go on snowshoes? Second, there's the thrill of acceleration and the excitement of motion through space and time. And have we mentioned the vistas? Oh, yes, there's some spectacular scenery when the sun is glistening 'cross that blanketed landscape, especially out west under that big Montana sky. 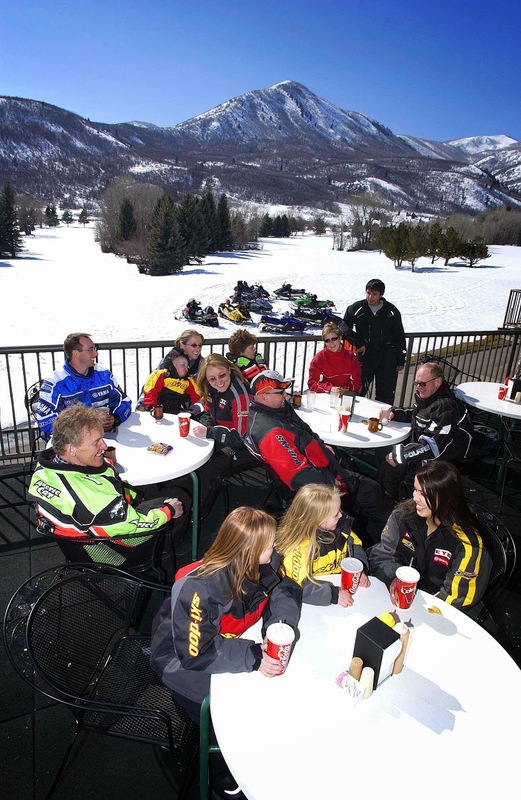 The Specialized Oil Sweepstakes is your opportunity to embrace this once-in-a-lifetime experience: 4 days and 3 nights, all expenses paid trip to Montana that includes a 2-day guided snowmobiling tour, sled rental, hotel accommodations and round-trip airfare, plus $500 spending money. Are you ready for this? Be sure to read the rules (some restrictions apply), then fill out the entry form, or sign up at one of the many snocross or snowmobile events we sponsor. The official deadline is March 31, 2014. 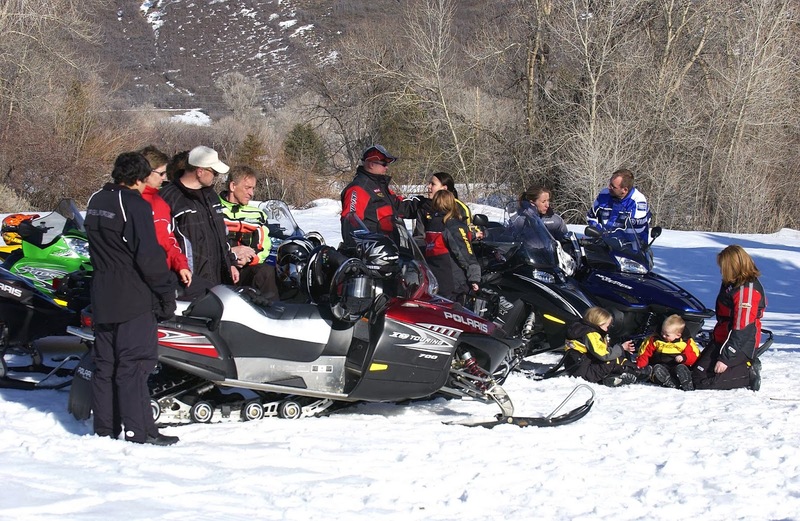 Your Montana getaway will take place during the winter of 2014-2015. Odds of winning depend on the total number of eligible entries. One of them should be you. Here in the Northland it's the favorite season for many of us. The days may be short, but we know how to stay warm, and we never stop being active.